Completed 90 day on Dubai Roads!! It is a big achievement as a it sounds for beginner like me. I have experienced the many people is least bothered to give left or right indicators during lane changing. That leading to many minor or major accidents on the road. Especially many taxis and owners of costly cars are never give, and if they give the meaning is "buddy, you slow down at any cost I am going to change the lane" so you have to slow down or else it will be a collision and you can experience that. Sheik Zayad Road, Emirates Road, Al - Khail Road etc. These are the major highways I drove in these period where people are driving above 100 KMPH. I was bit scared to go to these roads because I was worried if I go on 100 speed can I change lane safely, or can I get control if I drive in 100 km speed? also I dont know the routes..
How I overcome these fears? Ones my manager says first is always first. No matter when or how you try. So dont delay to take the first steps. Mandatory : It is very mandatory to have well fit vehicle with you. Properly check brakes, tires, fuel and put safety belt before you move ahead. Also ensure all your documents are ready with you. I chosen less traffic day for the first trip, roads are light traffic on fridays. 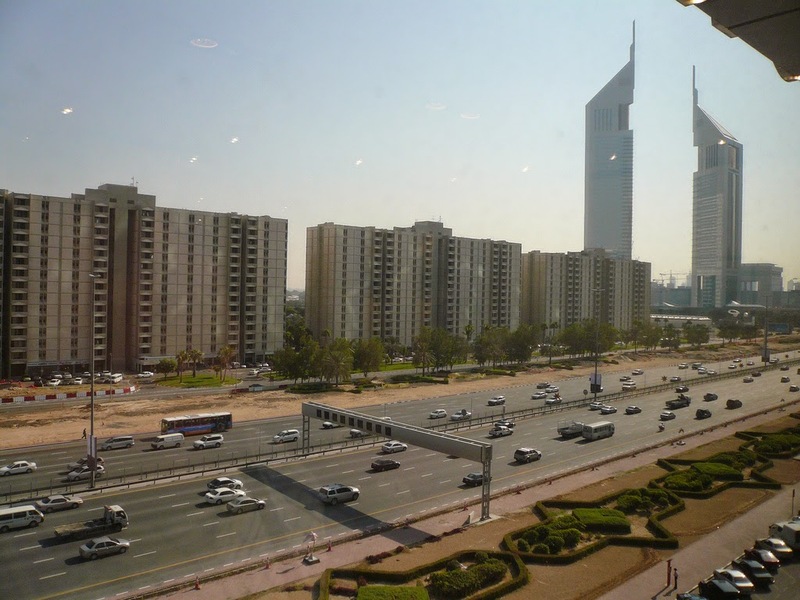 I took my car to shaikh zayed road, before that I went through the google maps for the route directions and understood where to turn left, right and change lanes. - As my phone having Google maps installed GPS application, I switch it on and set the destination and follow the directions for the roads. Get a good understanding of route is very important because if you dont know the routes you will be panic and keep on looking on the direction boards will lead to accident. - Fuel - ensure enough fule is available. - it was light traffic and able to change the lane safely and reached the destination safely, and this given me a high confidence on my driving. Driving on highways always interesting and risky, but if you got a challenging mind you will definitely love that. Never ever change lane if the lane is not clear. This is very important lesson. If you miss the exit drive again few kilometers you will get a next exit and can reach the place. Safe distance very important for new or experienced drivers, because no one knows what will happen in the roads so sudden stopping requires safe distance otherwise it will be a leading to chain of accidents. I have seen many accidents like that. If you see some high speed cars or taxis giving indicator realize that 90% they will change or swerve into the lane, so you are the learner slow down a bit and let them go. It is very important to note - to slow down don't apply break instead release accelerator. Mistakes can happen and you have to check with experienced drivers and correct it and don't repeat the mistakes. Yeah it happened so sad, my bumper got some trouble. I will write about that in my next post which will give you glimpse on what to do if any accidents in the roads.